The US FDA has named a Duke University vice chancellor as deputy commissioner for medical products and tobacco. In his new role Dr Robert Califf will help lead the Center for Drug Evaluation and Research, the Center for Biologics Evaluation and Research, the Center for Devices and Radiological Health and the Center for Tobacco Products at the regulator. He will also oversee the Office of Special Medical Programs in the Office of the Commissioner when he joins in late February. Dr Califf is the current vice chancellor of clinical and translational research at Duke University in North Carolina in the US. 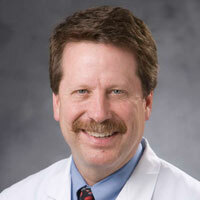 His previous roles at Duke include director of the Duke Translational Medicine Institute (DTMI) and professor of medicine in the Division of Cardiology. He was also founding director of the Duke Clinical Research Institute. He has previous experience with the FDA serving as a member of the FDA Cardiorenal Advisory Panel and FDA Science Board's Subcommittee on Science and Technology.